nanon (Thailand) – One of the most successful Vehicle Logistics Companies in Thailand. 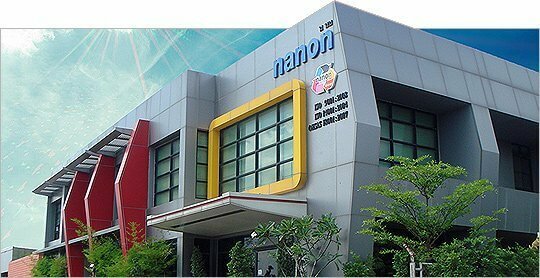 nanon (Thailand) Co., Ltd. was founded in 2000 originally to provide car carrier trans- portation services to Honda and Toyota. We have rapidly expanded to cater for the growing logistical needs of Thailand’s booming economy. Our main office, yard and workshop are strategically located near the airport within 2.5 kilometers of the Lad Krabang container terminal. The locality offers excellent access to major trans- portation corridors south to the eastern seaboard industrial zone, and north east through to the northern provinces of Thailand, through to Laos, Myanmar, China and beyond. nanon Group owns and operates several local cross border and international transportation and logistics businesses. The group has controlling and financial interest in a total of five different companies. nanon (Thailand) Co., Ltd. "Thailand"
nanon Enterprise Co., Ltd. "Thailand "
Vanh Transport Co., Ltd. "Laos PDR"
nanon (Laos) Co., Ltd. "Laos PDR"
nanon (Myanmar) Co., Ltd. "Myanmar"
Our objective is to exceed our customers expectations and at all times enjoy good relations with them. We are committed to providing a highly professional, cost effective and reliable service to all our customers and believe in the need for continual improvement in our business processes and performance. We take special pride in both our ability to deliver cargo in a timely manner and our focus on safety and security and we use the best modern technology such as GPS and hand held devices to assist us. Most of all we care what our customers think and say about us and aim to be the best in everything we do. Our services include project handling, road transportation and trucking, supply chain management and customs clearance in Thailand to Laos, Cambodia and Malaysia. We can also provide sea and air freight forwarding, warehousing, materials management and consolidation. Nanon have held the BS EN ISO 9001:2008 international quality Standard and Certificate of ISO 14001, OHSAS 18001 and in process of prepareing for Certificate of ISO 14001, OHSAS 18001 with the new verison in 2015.